The Easter holidays are nearly here which gives students in schools, colleges and higher education some much needed rest from their studies. However, soon after the break, the attention for many of them will quickly switch to exams and this can be a stressful time. 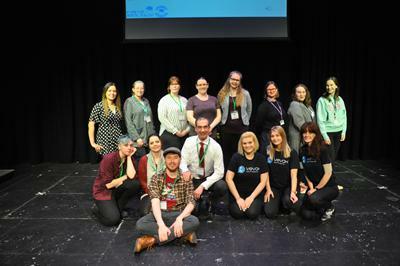 This week, a group of student nurses at the University joined up with some students at Barton Peveril Sixth Form College to create an innovative new approach to exploring exam stress. 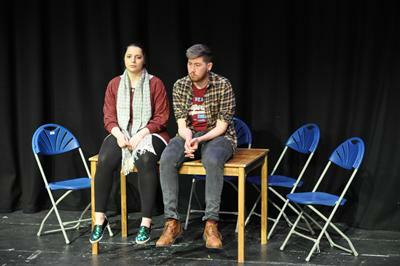 The result was an interactive theatre show, performed by the student nurses in front of an audience of sixth formers, telling the story of an A-Level student Jonny as he experienced the everyday pressures of teenage life at the same time as he needed to prepare for their exams. 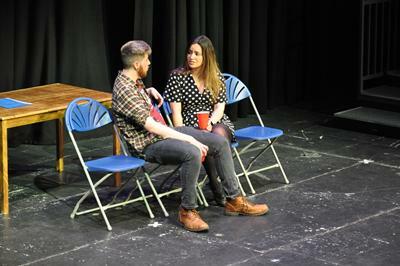 The play was written in a “choose you own adventure” style and at several points, the audience had to vote on what decisions the lead character Jonny should make which changed the direction of the play each time, each scenario creating new pressures for him to manage. 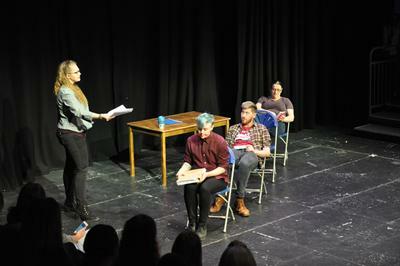 The play begins four weeks from exam time where Jonny and three friends are juggling a busy homework and revision schedule, each of them coping with the pressure to different degrees. The story also showed how interactions with teachers who are also under pressure and Jonny’s own parents influenced the emotions he experiences as their exams get closer. When the action paused at key decision points, the Barton Peveril Students used the Vevox app on their smartphones to vote from a list of decisions Jonny could make; including whether to send him on a date with Georgina, working an extra shift in his friend's parent's restaurant, staying in to study or spending time with a friend who was coping very badly with exam stress as a result of problems at home. For the sixth formers watching this gave an insight into what can cause anxiety around exam time, how it can escalate, how they can get support and how they can identify signs that their friends may also be struggling. For the nursing students it was an important part of their learning about teenage mental health. The idea was devised from a teaching method that University Mental Health Lecturer James Wilson has created to teach his nursing students at the University, and which has won him teaching awards and a fellowship.